Will ultra-rural Britain get ultra fast speeds? The government has announced a new £10 million fund that will be made available to bring high-speed internet into rural areas of Britain. The fund is set to add to the £1.2 billion that is currently allocated to Broadband Delivery UK (BDUK), a project aiming to improve internet access across the country, and supply 95 per cent of the UK with superfast broadband by 2017. The scheme is in the process of an overhaul, following clear signs that it would miss the first of its deadline. Government spending watchdogs criticised the project, which left telecoms company BT in a "quasi-monopolistic" position. The new £10 million will focus on the final five per cent of the 95 per cent target, hoping to fund alternative technology. Culture secretary Maria Miller said that the scheme would think "imaginatively" about how to supply the internet to the Britain's most rural areas. 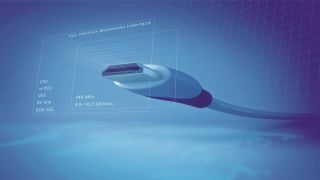 Potential technologies that it is anticipated will be part of the applications include 4G mobile signals, fibre connections direct to premises or closer to them and satellite broadband. "Our nationwide roll-out of superfast broadband will benefit everyone from school children to business owners, parents to patients," said Mrs Miller. "An estimated 10,000 homes and businesses are gaining access to superfast speeds every week but now we need to focus on the hardest to reach communities." The fund will open on March 17 and will be spearheaded by new Broadband Delivery UK chief executive Chris Townsend, who was formally the commercial director of the London 2012 Olympic Games. Townsend said: "Ensuring that broadband can reach businesses and consumers across the country is one of the most important policies in Government. Faster connections will improve the way people live, work and spend their leisure time."